SQUIRT (Roy G. Klehm, Klehm Nursery), July 3, 1998 Seedling #K93-02. First bloomed 1984. 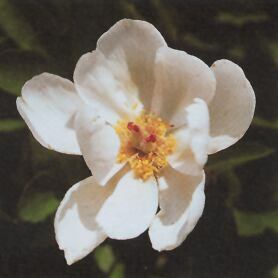 Single, cup-shaped lactilora, white, small delicate bloom in proportion to small plant stature. 15" height, good stems, early and good vigor. Has stamens, pollen, and seeds. One bud per stem, good substance with average amount of bloom, reliable. Rich medium, green foliage. 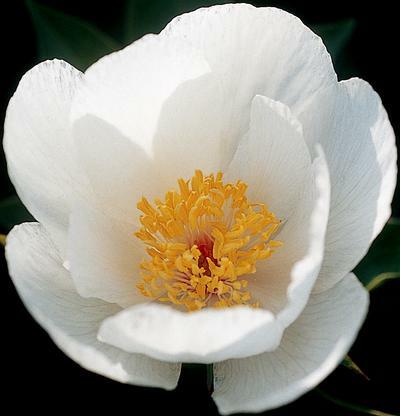 Cup shaped single, delicate white blossoms over rich, medium green foliage. Nice small plant stature.